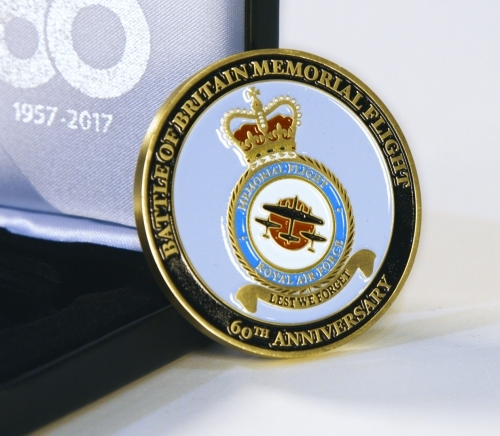 This stunning coin has been issued to commemorate the 60th Anniversary of the Battle of Britain Memorial Flight. 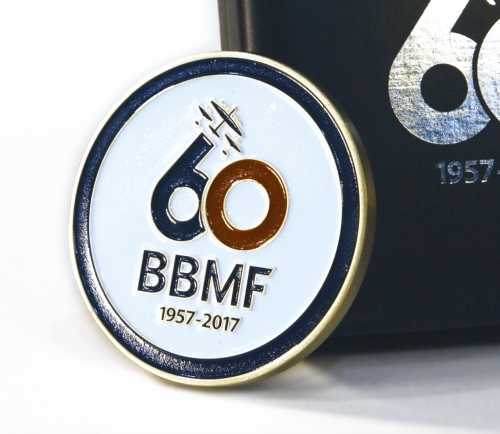 Featured on the obverse is the BBMF crest in fine detail with a light blue background. The reverse shows the official 60th Anniversary logo that has been issued by the MOD for this special occasion. 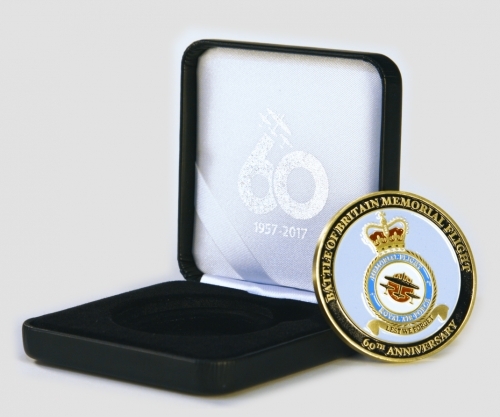 The coin measures 50mm (Two Inches) in diameter, weighs 55 grams and is supplied in a fitted presentation box with the specially designed anniversary logo in silver on the lid inside and out.